Christopher Shinn always makes one think. 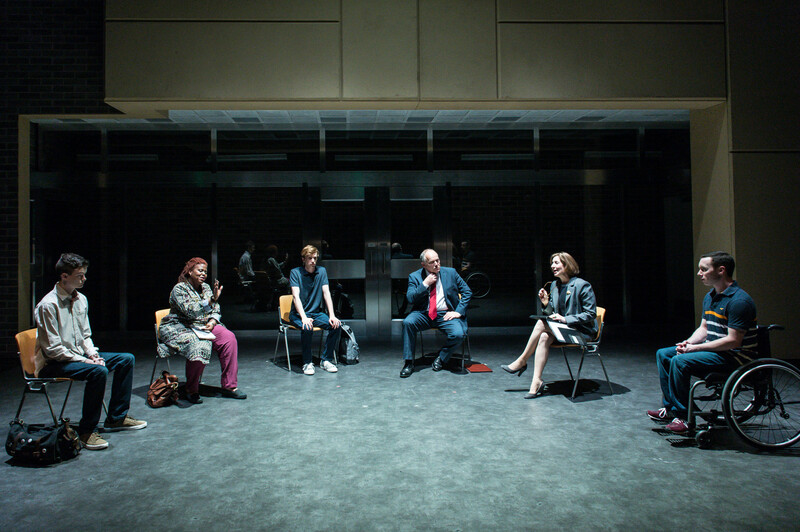 The obvious is never quite it with the American playwright who has had five plays premiered in London, all at the Royal Court including Now or Later (2008) directed by this production’s director, Dominic Cooke whilst artistic director. Shinn has a track record of looking at major issues from highly personal, emotional standpoints. Now or Later, for example, looked at Presidential ambition in the context of family ties; Dying City, post the US invasion of Iraq in terms of domestic psychological invasion. So it is with Teddy Ferrara, his incursion into LGBT issues – an area you’d think well covered by now. But Shinn finds fresh and disturbing angles that encompass suicide, closeted gays amongst `straights’, and most discomforting of all, attitudes towards disability and transgender in the gay community. Shinn’s central figure is the appealingly sensible Gabe, a potential student President who to all intents and purposes appears thoroughly at home with his sexuality. Over the next two hours, we follow Gabe’s love life with fellow student Drew, a budding journalist and his encounters with Nicky and the socially awkward freshman, Teddy Ferrara, a young man desperate for love and a boy-friend. It’s graphic stuff as Shinn charts the sexual obsessions and casual cruising inherent in the young gay life-style and the emotional trauma that goes with it. We’re witness to some gruesomely humiliating online `sexting’ by Teddy in his attempt to `hook’ up with a partner, make friends. 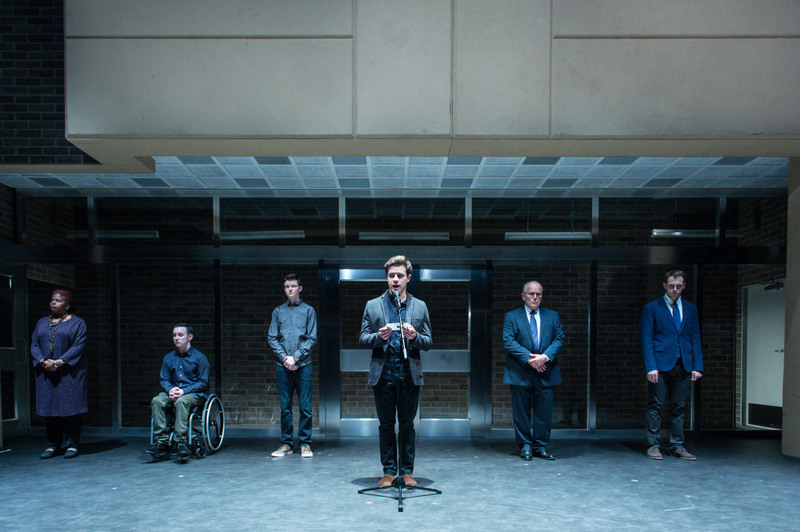 The outcome, not to say the general structure are predictable enough if beautifully played by Cooke’s young cast, especially Luke Newberry’s Gabe, Oliver Johnstone’s Drew and Chrisotpher Imbrosciano’s wheel-chair bound Jay. Shinn punctuates Gabe’s journey with some amusing swipes at college politics in the shape of Matthew Marsh’s patronising College President and Nancy Crane’s emollient Provost. 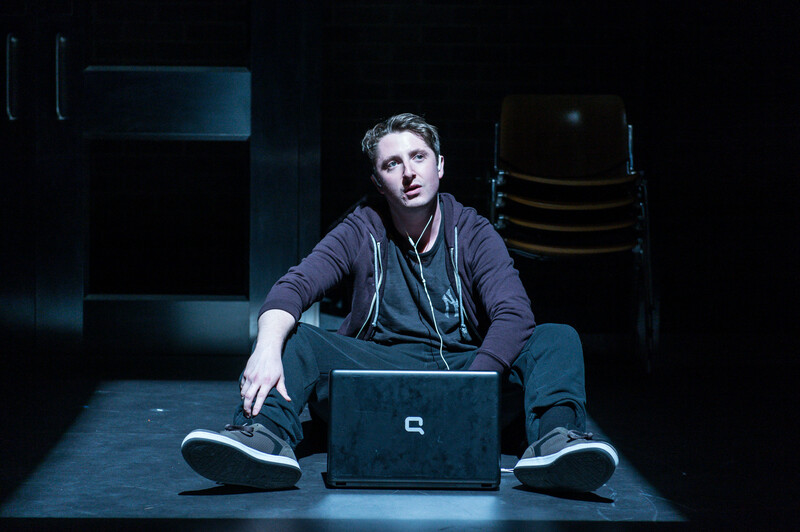 But the kick in the play lies not only in Shinn’s subtle exploration of depression and suicide in the gay community, but like society at large, its intolerance when it comes to disability (the way Jay and Teddy are treated) and the hypocritical light in which his death is bathed at the end. 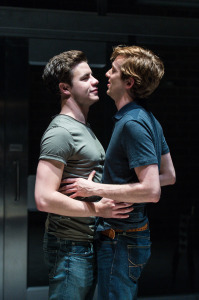 Teddy Ferrara runs at the Donmar Warehouse to Dec 5, 2015. 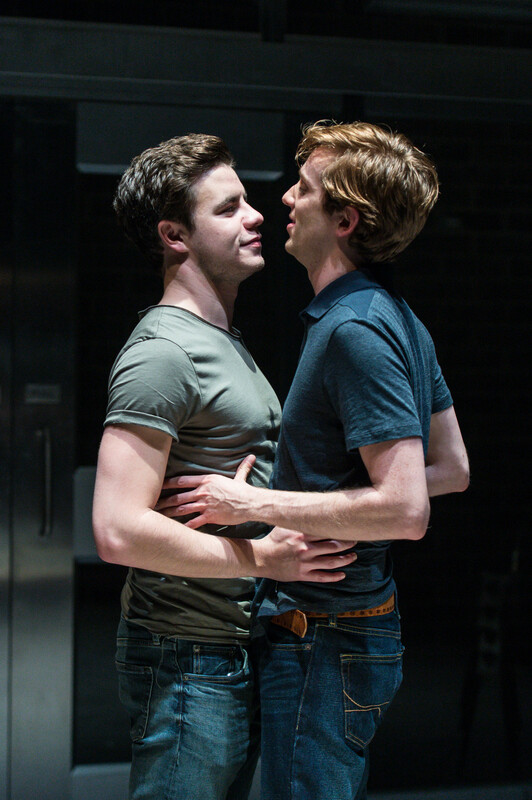 This entry was posted in 2015, Reviews and tagged Christopher Shinn, depression, disability, Dominic Cooke, Donmar Warehouse, LGBT, suicide on October 13, 2015 by Carole Woddis.